People are our reason for being. GAYAFORES has spread all over the world, reaching over 110 countries on all five continents. This is also the spirit of GAYAFORES and the daily effort to offer new solutions and decorative possibilities, meeting the needs of the market. Currently, the company's facilities occupy an area of 160,000 m2, fully adapted to the use of the latest technology, with a clear objective of "a Quality production process, service and final product". We specialise in porcelain paving and cladding and white clay tiles, with an annual production exceeding 3.5 million metres. Altogether, GAYAFORES production exceeds 18,000 m/day, but this can be increased to meet demand spikes, ensuring "service quality" as one of the company's main strategic objectives. It’s not "the Company" that is important. It’s the company we keep, our employees. 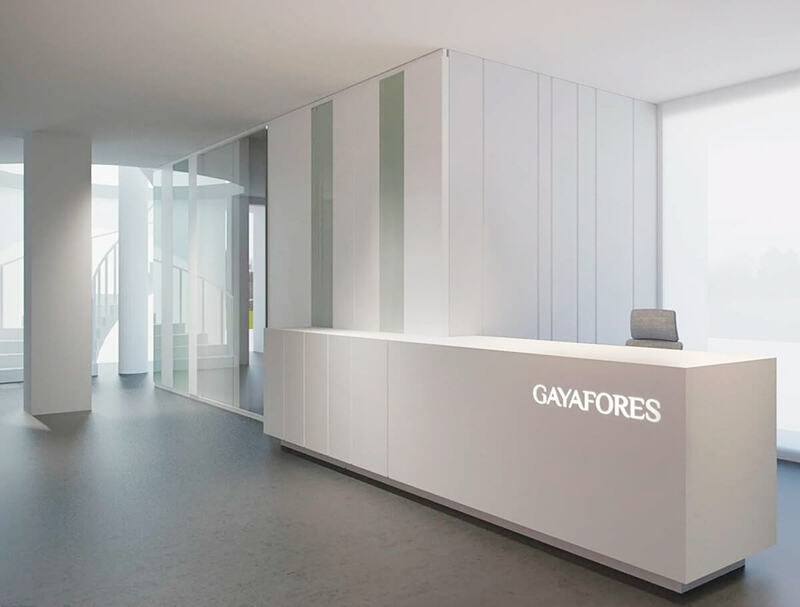 Gayafores is a company that lives by and for people. Our end customers are as important for us as those who make the Gayafores machinery work perfectly day after day. Our 135 employees are not just employees; they are the best professionals, our fellow travellers. They are a modern team, constantly trained and prepared. They ensure that our products are increasingly better and more competitive, they create the designs that stand out in the sector, they prepare the product to reach all parts of the world in record time, they ensure that our production processes comply with the strictest ecological legislation... in short, our Company keeps the best company.